January and February are busy with sick jobs. Our nannies and sitters are often called in to care for sick kids since mom and dad have to go to work. When doing a sick care job for TLC for Kids always follow the parent’s guidelines and remember to get permission in writing before giving any medicine. Here are a couple of extra tips to keep in mind when caring for sick kids. 1. Always use a digital thermometer. The most accurate way to take a temperature for a child over the age of one is with orally with a digital thermometer. 2. Don’t treat kids under the age of 12 with a multi-symptom cold medicine. The best way to treat a cold is by using a humidifier, a saline solution for the nose, and by giving lots of fluids. With parents permission you can give acetaminophen or ibuprofen for fevers or achiness. 3. Always use the medicine dispenser that came with the medicine. Teaspoons used in everyday kitchen ware can vary from set to set. For more tips on treating sick kids you can watch this video(http://children.webmd.com/sick-kids-8/default.htm) . Remember to wash your hands, get plenty of rest, and drink lots of water so you can stay healthy! Christmas is almost here! There is still time for you to do some crafts with kids this season. Nannies and sitters take a look at the TLC for Kids Pinterest page. It is filled with cute ideas for everyone. The Miami Museum of Natural Science , Miami Coral Castle Museum, Miami Metro Zoo, Miami Seaquarium and Jungle Island. If your kids are like my kids, one of the most fun things about a vacation is the hotel. I don’t know why, but most kids LOVE the idea of staying in a hotel for a few days. Parents, however, can find the hotel room a little cramped. After a long day and nights of sight seeing parents can use a little recharge time. TLC For Kids can help! We offer hotel babysitting in St. Louis, Mo. Our Miami office offers hotel babysitting in Fort Lauderdale, Miami and the Palm Beaches! Our hotel sitters are fun, reliable and screened. They will come to the hotel with games and activities for the kids to do while you enjoy an evening out. Visit our website to complete the hotel registration form. TLC recommends booking your sitter prior to your arrival but last minute requests are welcome. 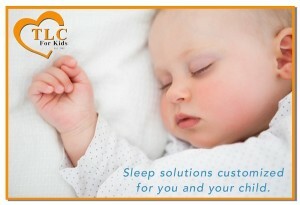 TLC For Kids is now offering sleep coaching services. TLC has teamed up with Gentle Sleep Coach Jessica Litwack, certified by Kim West, LCSW-C, aka The Sleep Lady ®. Jessica will provide TLC families with excellent guidance for dealing with sleep issues with their 4 month to 6 year olds. Jessica Manela Litwack LCSW is a not only a Certified Gentle Sleep Coach, but also and a Certified Baby Planner through the International Maternity Institute, a mother of two young children and the founder of the online mom support group, mamaSpace. After learning early on with her first child that having a “good sleeper” wasn’t something that was just going to happen on its own, Jessica started to look into various sleep coaching methods. The Sleep Lady philosophy, developed by Kim West, was a perfect fit for her family because of its gradual and gentle approach. After gaining experience with her daughter, Jessica realized she wanted to support other families with sleep issues. She received training as a Certified Gentle Sleep Coach in early 2013. The Gentle Sleep Coaching Program has been helping tired parents for 17 years and is currently the most extensive and professional sleep certification program available. The GSC approach is a gentler alternative for families who emotionally or philosophically are not comfortable letting their babies “cry it out”. GSC is also for families who believe in co-sleeping but find that their children aren’t really sleeping all that well, even nestled snugly with their parents. Or for families who did co-sleep for a few months to a few years and now want the family bed to revert back to the marital one. For over 27 years TLC for Kids has been helping St. Louis families with all their child care needs. TLC is thrilled to expand its services to offer help to tired parents, babies and young children looking to get a good night’s sleep. Jessica is currently booking clients for December and into 2014. Please contact Jessica at 314-725-5660 or tlc@tlcforkids.com to book your consultation today. TLC Is Now Offering Sleep Training! I will never forget the pain of letting my youngest “cry it out” We tried the “ferber method,” but listening to him cry for 5 minutes seemed like 30! We tried co-sleeping but neither one of us got any sleep. I am so excited to tell you about the new service TLC for Kids is offering. We have teamed up with Jessica Litwack, a certified sleep coach, to provide sleep training. Jessica Manela Litwack, is a Certified “Gentle Sleep Coach” who will work with your family to create an individualized, loving and responsive step-by-step sleep plan teaching your child the vital life skill of putting themselves to sleep. The Gentle Sleep Program will consider your personal parenting philosophy, child’s age, health and temperament, mother’s well-being and the related family dynamics. Most importantly Jessica will support and coach you through the process from beginning to end- for night sleep and naps! The art of putting yourself to sleep is a priceless gift you can give to your child and your entire family. To learn more visit our website tlcforkids.com, or call us at 314-725-5660.